The orange blossom water - never been able to find it. But I have been able to find orange blossom HONEY which actually has a great fruity floral scent and flavor so I sub out the two TBS orange blossom water for extra honey. If you really want to, I've done the water with a few drops of orange extract. But I like the honey option. The nuts - drop all of them into a food processor and pulse. You want the nuts somewhere inbetween sunflower seed size and pea size. Any smaller and you loose texture and the little bit of crunch from the nuts. And larger and you won't have enough nuts for two layers. But you can always chop more nuts. 1) put the 2 1/4 cups sugar, lemon zest and 1 1/2 cups water in a sauce pan and stir over high heat will the sugar dissolves, then boil for 5 minutes. Reduce heat to low and simmer for 5 minutes or until the syrup has thickened slightly and just coats the back of a spoon. 2) preheat the oven to 325. Combine the nuts, extra sugar and cinnamon. 3)Sprinkle half the nut mixture over the pastry and pat down evenly. repeat the layering and buttering of 5 more sheets of dough and sprinkle the rest of the nuts. Then layer and butter 10 more sheets of filo dough, brushing the top layer with butter. press down the pastry with your hands so the pastry and nuts adhere to each other. Using a very sharp knife, cut into diamond shapes, ensuring you cut through the bottom layer. Pour any remaining butter evenly over the top and smooth with your hands. (side note: You will have extra dough sheets I believe in this package, as well as an additional package in the box. Since I've read you like to get the most out of your ingredients, you may want to look up an additional recipe that uses the dough and make it right after this so you don't waste the remaining sheets) The other package will keep in the freezer till you need them again. Just give them a day or two to thaw in the fridge. You cannot use this dough frozen = tiny little pastry dough shards. Bake at 325 for 30 minutes. Reduce heat to 300 and bake 30 minutes more. 4) Remove from the oven and immediately cut through the original diamond marking and then pour the strained honey mixture evenly over the top. To achieve the right texture, its important for the baklava to be piping hot and the syrup to be cold when your pour the syrup. Use all the syrup. It will seem like you have alot but because the pastry is pretty dry and hot it will soak up and give you a great rich dense dessert. 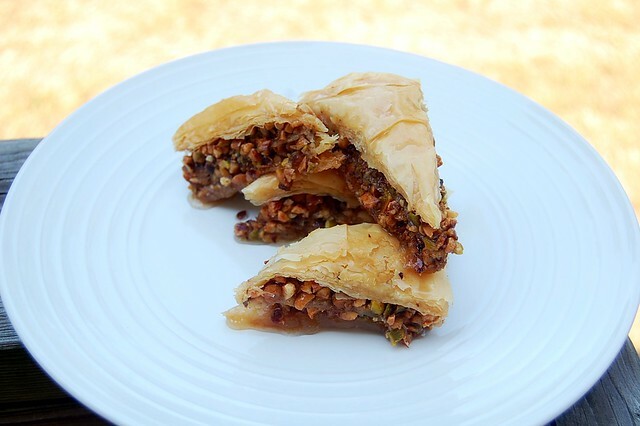 Baklava is a sweet honey-infused treat. I recently saw a Nutella version in Cooking Light. have never used caster sugar before or even known what it was. thanks for that info! This looks great! I love baklava! Gorgeous photos--wish I had a piece to go with my coffee! Ahhh Im so glad I checked your blog before I headed to work! 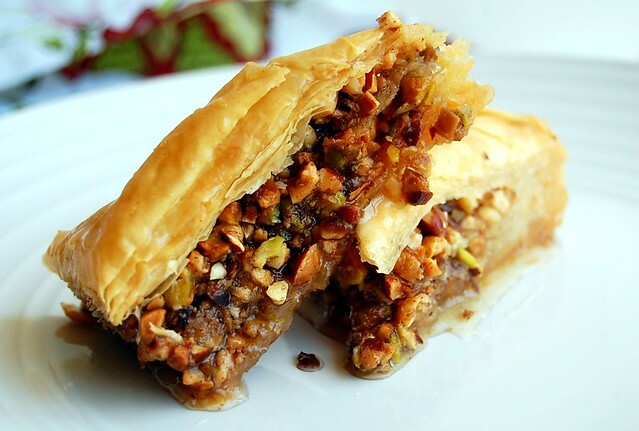 Baklava is one of those things I would love to conquer!Perhaps I'll be brave and give this a try! Oooh thank you Mandy. This stuff looks insane! 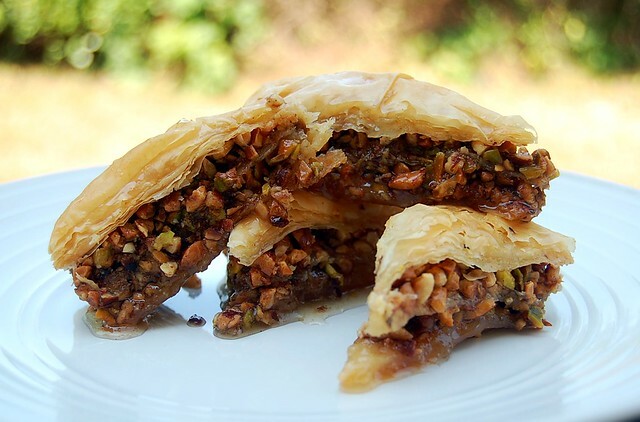 Like the most gorgeous baklava we've ever seen...! This looks really good! I've never made it before, but I've had some and it was a favorite. It does tend to be sweet, though that's nothing a cup of coffee or tea won't fix. never tried to make it, but this looks amazing!! Love this baklava! I should email you my family's potica nut roll bread recipe. I have made it many times with my dad or grandma. Oh. Em. Gee. Emily, wow! My (nothing) ever looks this good! Oh yum. I never made baklava before and I don't know why. I should because I LOVE it. I really love your recipe because it's made with almonds and pistachios. Too many of the Greek diners in this area just make it wth walnuts and of course my mouth burns like crazy after eating that many walnuts. Very clever trick with the orange blossom water. You can probably get that at a Middle Eastern market or maybe an online specialty store. I have bought rosewater at the former. Marc from No Recipes once gave me the names of some good ME markets in the city, but I haven't gone to them yet. Maybe I just gave you a good excuse to visit NY again. 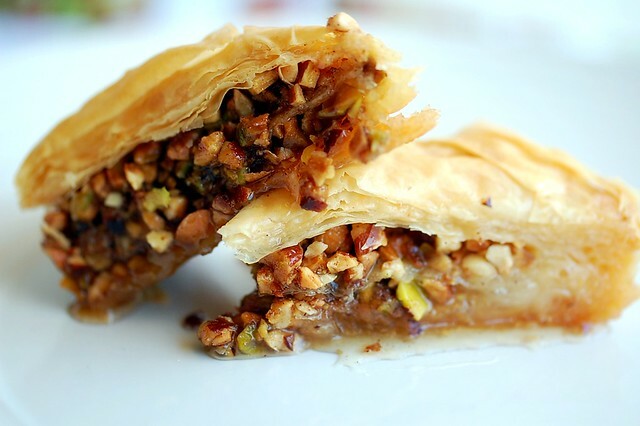 I've been wanting to try making baklava and this looks like a great recipe to start with! Yours came out great! Baklavas are delicious, I'm very fond of oriental recipes! They take a little time to prepare though, but are really worth it! Anyone would be crazy not to hire you if you bring BAKLAVA to your job interview! You must be the bet employee ever!! I want some NOW! You make amazing recipes and then take absolutely stunning photos! 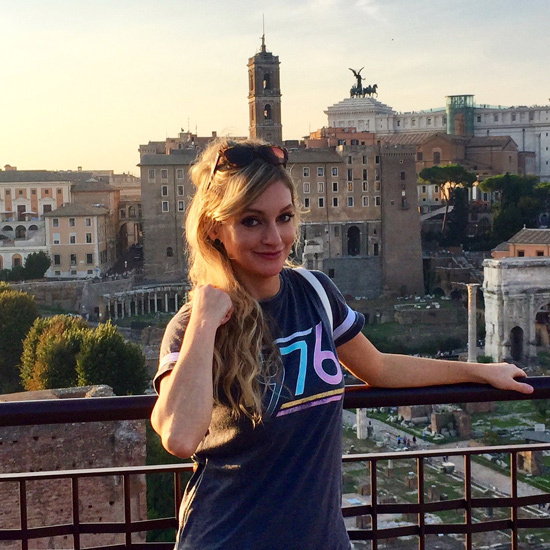 One of the best blogs I've found! Haha I wonder if that works for first dates also. Would it be weird if I just showed up with baklava? This looks so good. I like your emailing idea too! I feel like that will make for some interesting posts .. This looks so good! I won baklava recently from a contest on another blog, and have been craving more of it ever since. I feel like it would be a good recipe to make around Christmas since it's so rich and indulgent. I love Baklava and make it a couple of times a year. My husband is half Persian and it's a favorite dessert for Novruz, the celebration of the beginning of spring. Orange flower water is a lot like rosewater, a little goes a very long way and some people don't like it, but if you just use a little it gives everything a wonderful perfume. Just beautiful and anything with almonds in it with honey, I'm in love. Thanks! That looks like just about the best baklava ever. You're amazing.